Current World and Australian Champion Guy Stenning and his crew onboard Optimum are set to become the 2009 Farr 30 Australian Champions after the final two races of the regatta sail today on the inside course of Waterloo Bay. 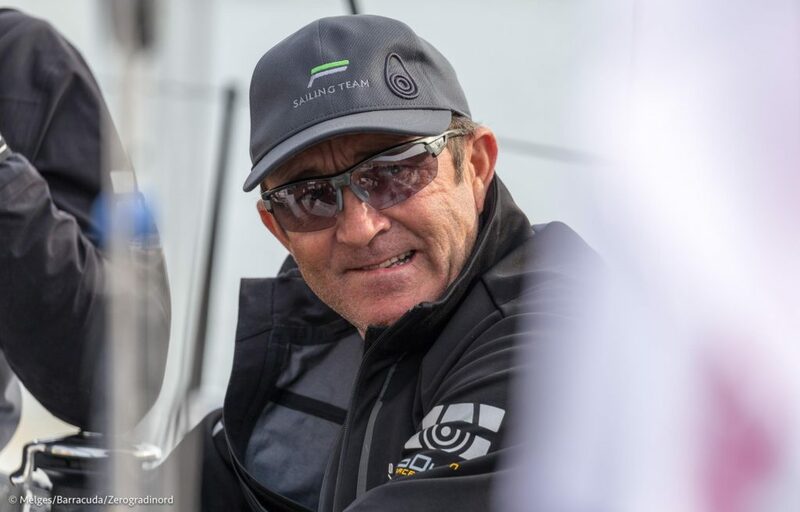 With a crew including World Etchells Champion Paul Wyatt, former Olympian Tom Slingsby and world class mainsheet trimmer Darren ‘Twirler’ Jones, Optimum has secured the bullet position is all bar one race so far. Bruce Eddington and his K2 crew have locked in their second place position with chances high of them staying in the zone. Local sailor Colin Loel (Asterix) is comfortably sitting in third position after a photo finish in Race 8. We were leading the race and held our right up until the finish. Optimum just managed to sneak ahead of us and pipped us at the line. They beat us by one second. It was definitely the race of the day, especially for us,’ said Loel. ‘Col and crew on Asterix had us worried, we didn’t know which way it was going to go. Great crew work got us over the line in a spectacular finish,’ said Stenning. ‘The racing here in Brisbane is fantastic. Great water, great courses, professional race management. It’s definitely been worth the trip from Sydney to be here for the regatta,’ continued Stenning. After a solid day of racing the crews gathered at the Royal Queensland Yacht Squadron bar to enjoy a social evening of beer and banter. The Queensland spirit is prevailing in terms of enjoyment of the whole regatta,’ said Loel. ‘I think we are showing the visitors from down south that we have some true racing talent here in Queensland amongst the Farr 30 fleet. ‘The Brisbane boats are now sitting third, forth and fifth. Our training seems to have paid off!’ said Loel. Racing continues today with the final two races set to race in 15/20 knots from the south-east.